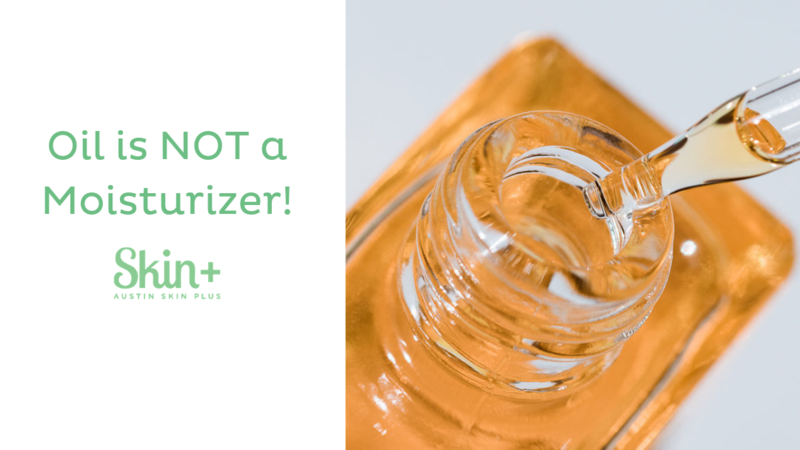 Austin Skin Plus | Oil is NOT a Moisturizer! Oil is NOT a Moisturizer! We have been hearing a lot of buzz about facial oils lately, and we are here to do a bit of myth busting! 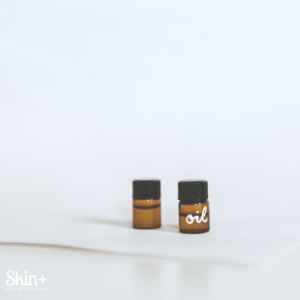 We have all heard it- “if you have oily acne prone skin, using facial oils will actually reduce oil and help breakouts.” This is a lie people!! When it comes to skin, if it sounds too good to be true, it most certainly is. Maybe in some alternate world it would make sense to say adding oils to your skin makes you less oily, but this isn’t the Twilight Zone and I’m not Rod Sterling. Facial oils don’t magically clear the oil your face produces, clear up your pimples, and solve all your problems. Truthfully, facial oils can be devastating to the skin especially for those who are acne prone. They clog pores and cause inflammation. The myth is, if you strip your skin and dry it out, your face will overproduce oil to compensate. To counter that, if you apply facial oils directly to your skin it will prevent your skin from overproducing, creating a healthy homeostatic balance. Wrong! Oils don’t hydrate your skin. In truth, certain oils contain high amounts of Oleic Acid. It can cause excessive scaling and dryness. Studies have pin-pointed any oils that contain more than 25% Oleic Acid will disrupt the skin barrier causing all sorts of problems. Bottom line… stay away from just using oils on your skin, find a skin expert that can help determine what your skin needs for hydration. Well for starters, use gentle cleansers that don’t leave your skin feeling tight and dry. Avoid cleansers that have sulfates, they can be the most harmful chemical ingredients to strip the skin of its natural barriers and oils. And as for moisturizers that do work? We have answers! At Austin Skin, we are proud to carry our own line of cleansers and moisturizers, finding the best one for you. There is no ‘one-size fits all’ product, so finding the perfect routine for you is what we are all about. Our Skin Coaches can give you practical advice, effective skincare recommendations, and perform clinical skincare treatments. Stop trying random products in hopes of clearer skin- your face is not an experiment!